Attention-deficit/hyperactivity disorder or ADHD is a brain disorder marked by an ongoing pattern of inattention or hyperactivity or impulsivity that interferes with functioning or development. 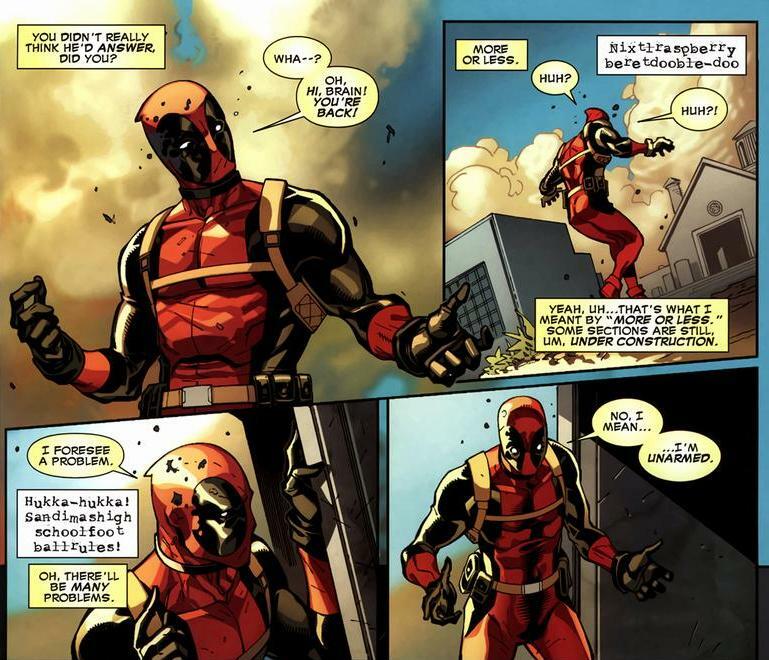 For this reason, Deadpool has a hard time concentrating on one task like fighting or having a conversation with someone. He is so easily distracted that any villain or opponent could take advantage of this slight hick. The ADHD also makes the hero more friendly with the voices in his head, resulting in some interesting conversations that may never happen to other superheroes. 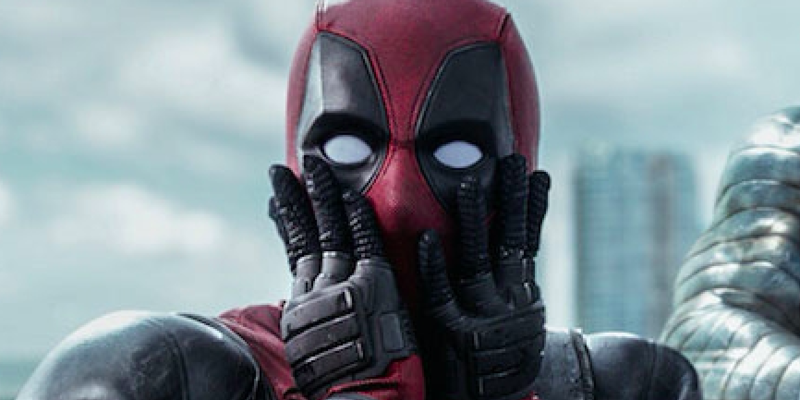 Deadpool has confessed that his true and only weakness are kittens. The cute furballs are a distraction that just pulls his heartstrings. The adorable kittens have been responsible for the Merc to put down his swords so he could cuddle with the animals. 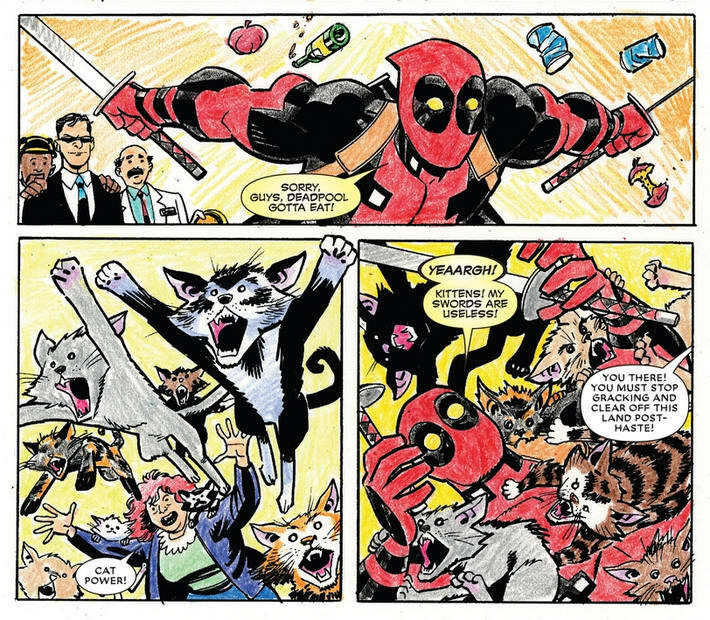 In “The Magic of Gracking,” Deadpool cannot push the kittens aside when a woman showers him with them.He is human after all. 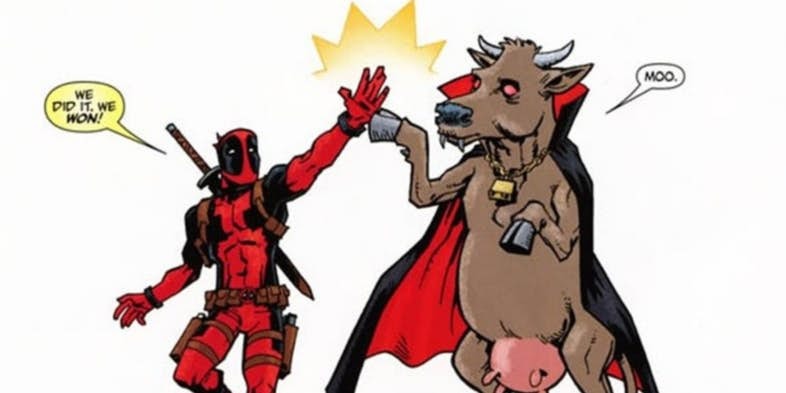 Deadpool has always been a bit of a flirt who just loves to be in love. The movie saw the hero have a relationship with Vanessa aka Copycat which pretty much dictated the premise of the film. In the comics, his love life has caused him more trouble than he could handle. For instance, while he was in the Weapon X facility as a lab rat, he encountered Death many times. Wade started developing feelings for her which did not go down well with Thanos. The titan had destroyed half of the Marvel Universe so jealous would be an understatement. 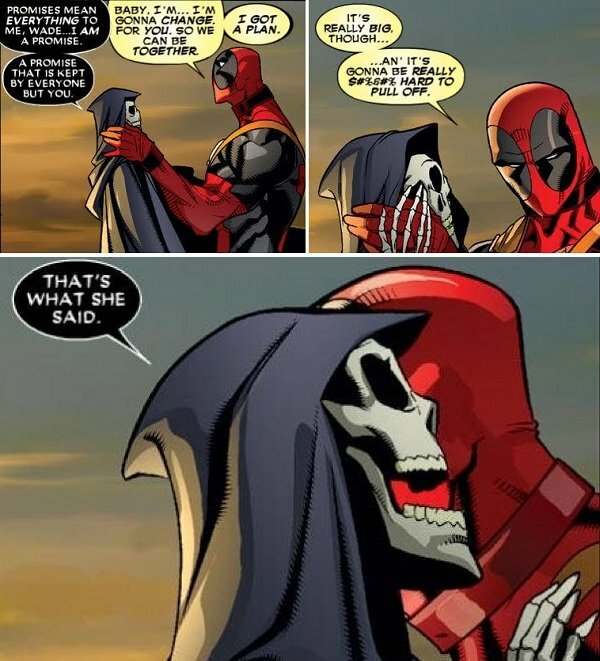 Thanos cursed Wade with eternal life so that Deadpool and Lady death could never reunite. After the tests in Weapon X, Wade Wilson was left with a disfigured appearance that will affect him deeply for the rest of his life. The character may make jokes about himself but in truth, his distaste for his appearance drove him to become more of a crazy character with a vendetta. 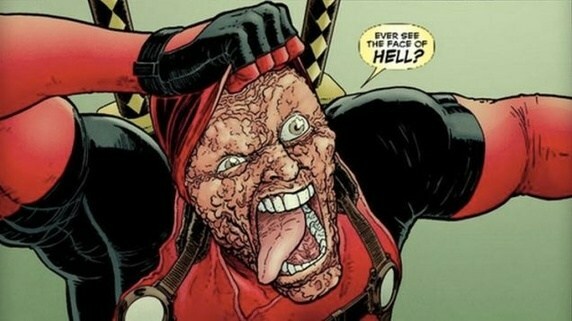 His disfigurement led him to become Deadpool, whether that is a weakness depends on what you think of his situation.